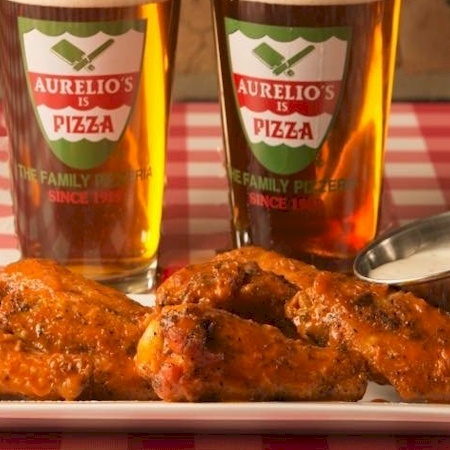 Aurelio's is a casual restaurant chain featuring Chicago-Italian specialties like thin-crust and stuffed pizzas, pastas, sandwiches, salads and entrees. Plain or seasoned. 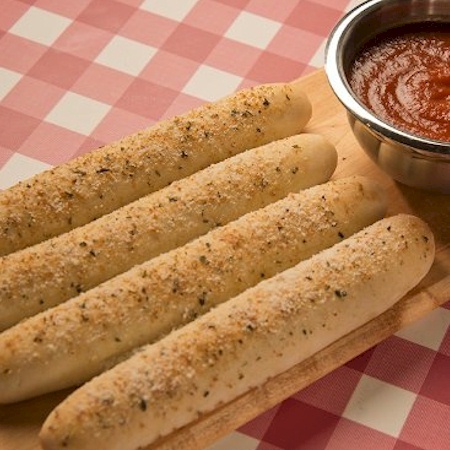 Served with a side of marinara sauce for dipping. Choose plain or with garlic seasoning. Eight chicken wings served Plain, hot or BBQ, served with your choice of ranch or blue cheese. 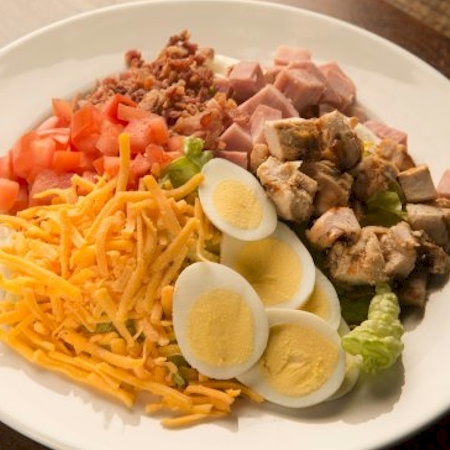 Fresh and crisp iceberg and romaine lettuce with chicken, bacon, ham, cheddar cheese, egg and diced tomato. 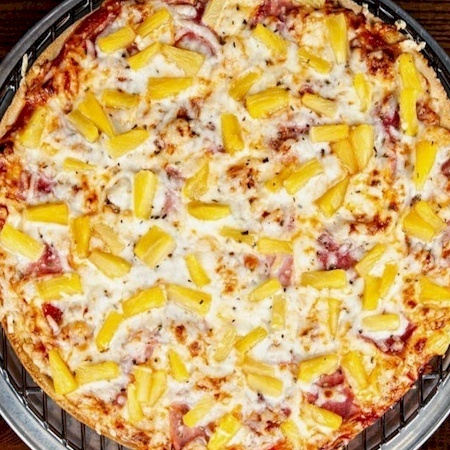 Choose Individual or Small (serves 2-3). 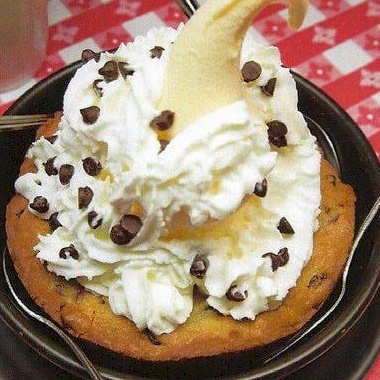 A half pound of chocolate chip cookie dough baked to order in a deep dish pizza pan, served warm and smothered with vanilla ice cream. Topped with whipped cream and mini chocolate morsels. 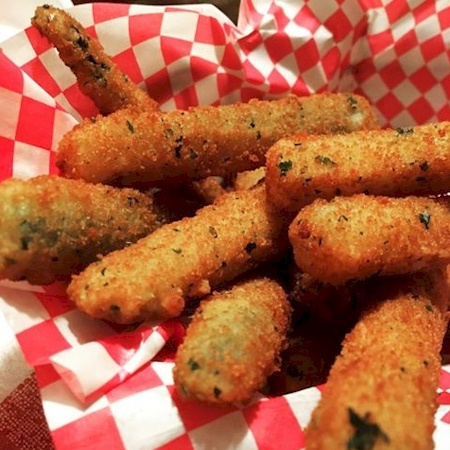 One taste and you’ll be hooked! 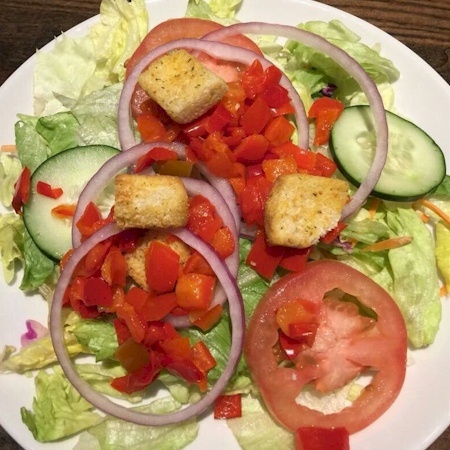 Fresh and crisp iceberg and romaine lettuce topped with tomato, cucumber, red onion, diced red peppers, and herbed croutons. Choose Individual, Small (serves 2-3), or Large (Serves 3-5). 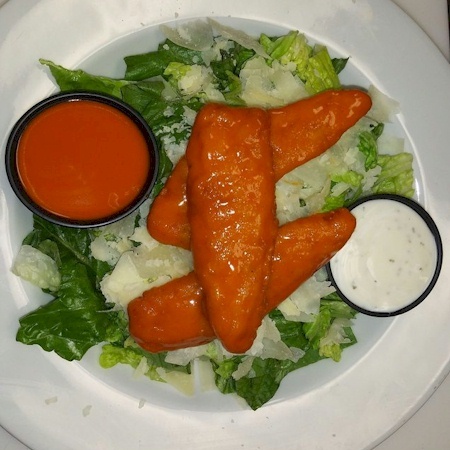 Crispy romaine lettuce topped with spicy Buffalo chicken, shaved Parmesan cheese, and our herbed croutons. 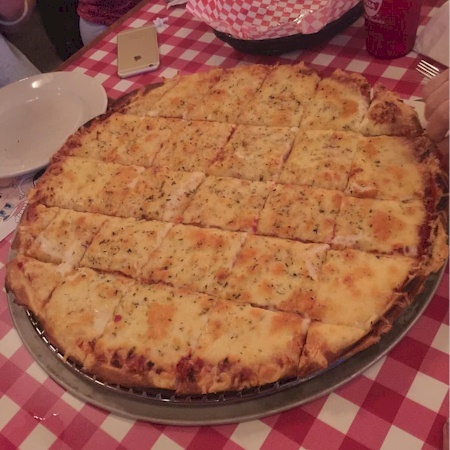 Choose Individual or Entree size. 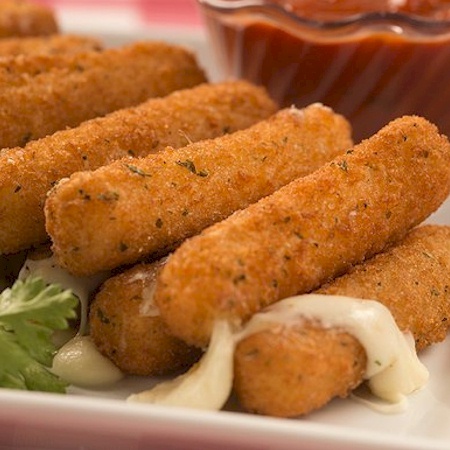 Six breaded Italian mozzarella cheese sticks, served a side of marinara sauce. 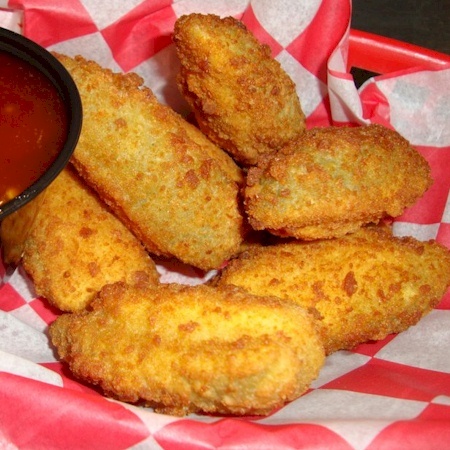 Six breaded jalapeno peppers stuffed with cream cheese, served with your choice of dipping sauce. 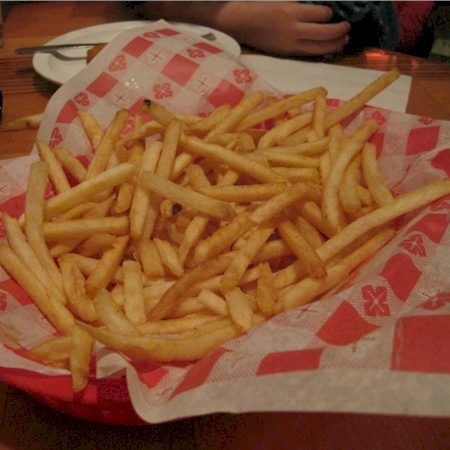 Served golden brown with your choice of dipping sauce. 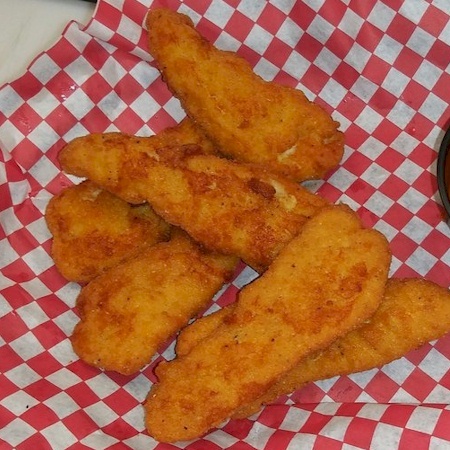 Breaded and fried golden brown, served with your choice of dipping sauce. 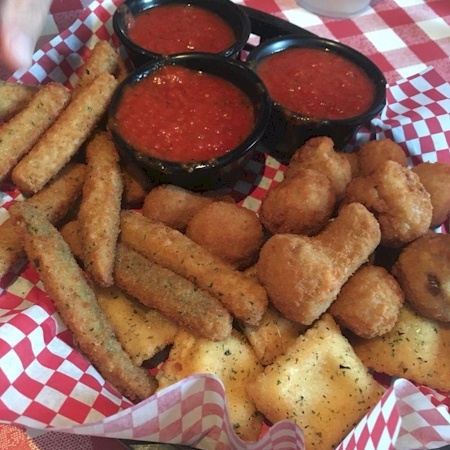 Choose three of the above delicious appetizers with your choice of three dipping sauces to create your custom combo platter. 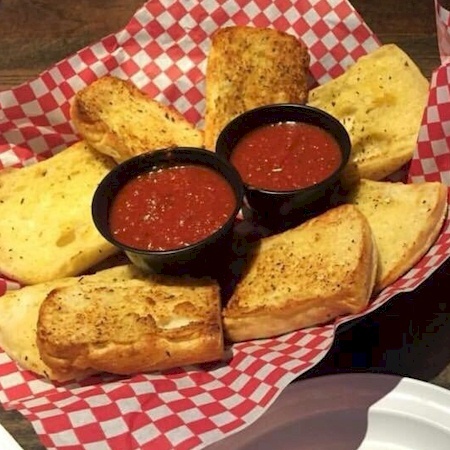 Four pieces of bread with our special garlic seasoning served with marinara sauce. Add cheese for an additional charge. 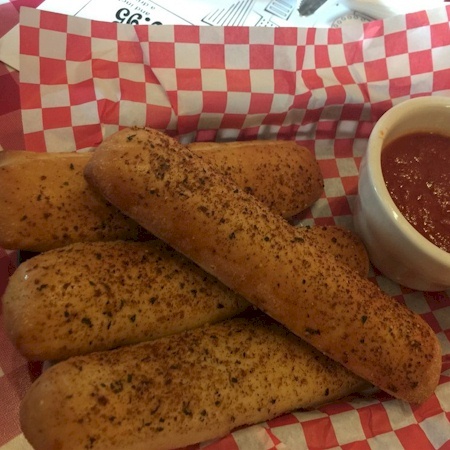 Four soft bread sticks seasoned with our special garlic seasoning, topped with Romano cheese, served with a side of marinara sauce for dipping. 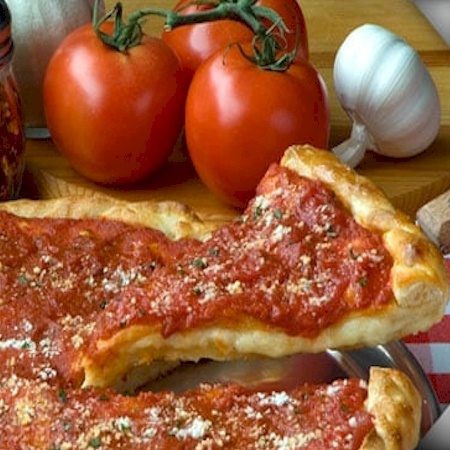 Fresh slices of tomato served on top of our garlic bread. 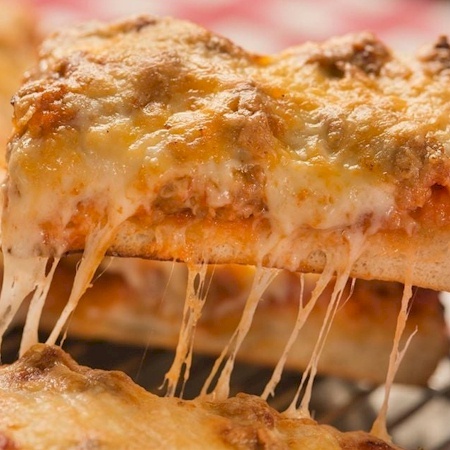 Topped with cheese and a sprinkle of oregano. 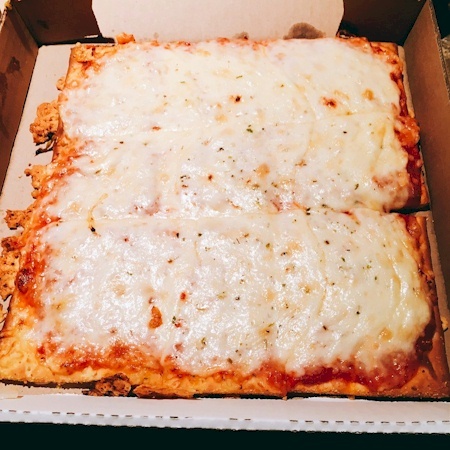 Two slices of crusty Italian bread covered with homemade marinara sauce and slices of mozzarella cheese, and baked until golden brown. Breaded and fried golden brown. 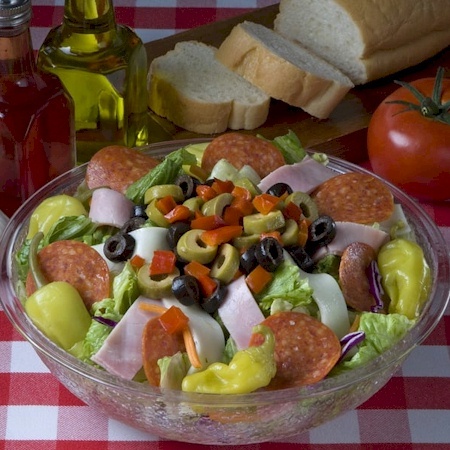 Enjoy one of Aurelio’s fresh salads as a starter or as a meal. 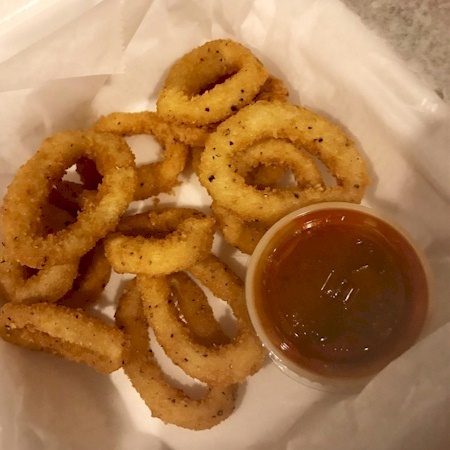 Dressings: Aurelio’s house dressing, French, Ranch, Bleu cheese, Creamy Garlic, 1000 Island, Caesar, Hot Bacon, Raspberry Vinaigrette or Poppy Seed. A bed of lettuce topped with ham, mozzarella cheese, pepperoni, green and black olives, sweet red peppers, and pepperoncini. House dressing recommended. 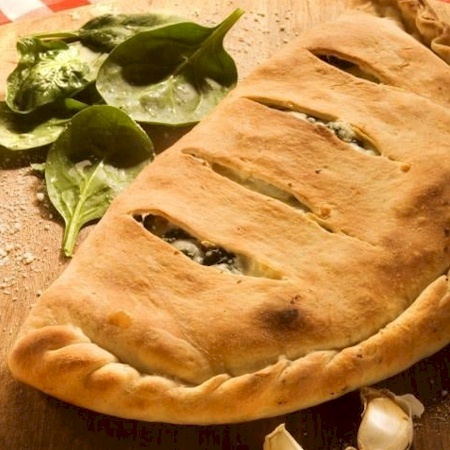 Choose Individual, Small (serves 2+), or Large (serves 4+). 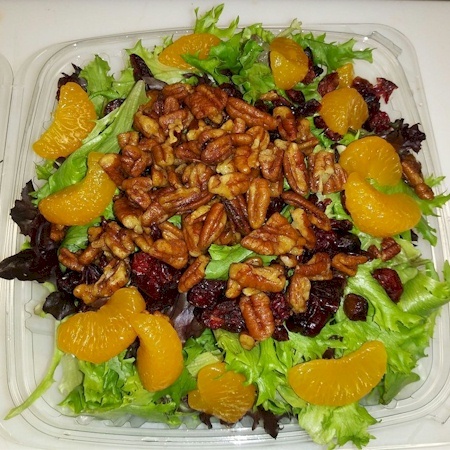 A tender mix of field greens topped with sweet Mandarin oranges, dried cranberries, and candied pecans. Choose Individual or Entree. 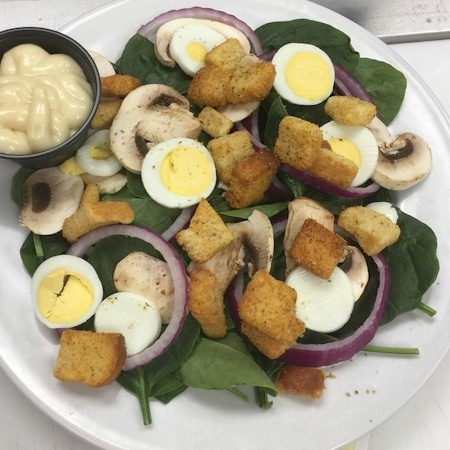 Fresh Spinach leaves with slices of hard boiled egg, sliced red onion, fresh sliced mushrooms and croutons. Recommended with house Italian or hot bacon dressing. 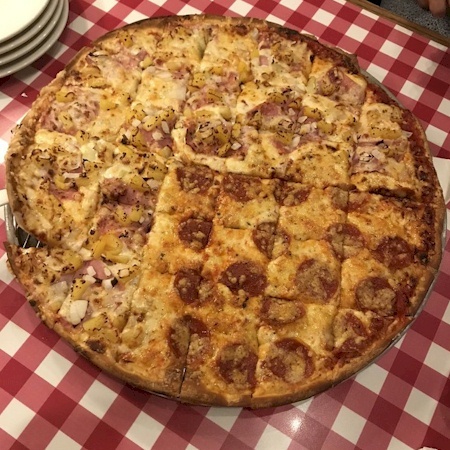 Choose Individual or Entree size. 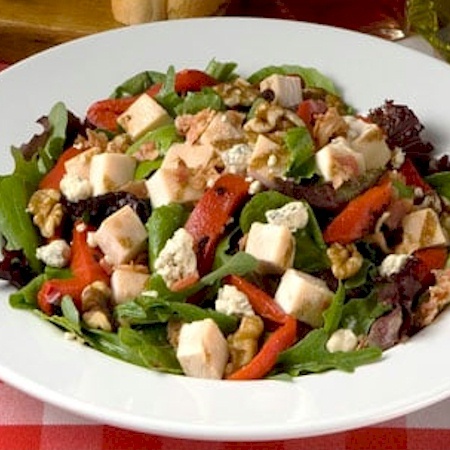 A tender mix of field greens topped with diced grilled chicken, julienned roasted red peppers, crispy bacon, and crumbled blue cheese. 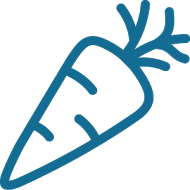 Choose Individual or Entree size. Crispy romaine lettuce and shaved Parmesan cheese, and herbed croutons. Choose Individual or Entree size. 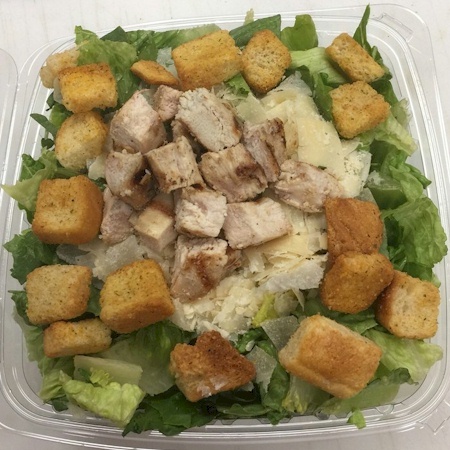 Tender pieces of grilled chicken on top of our fabulous Caesar salad. 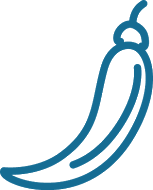 Choose Individual or Entree size. 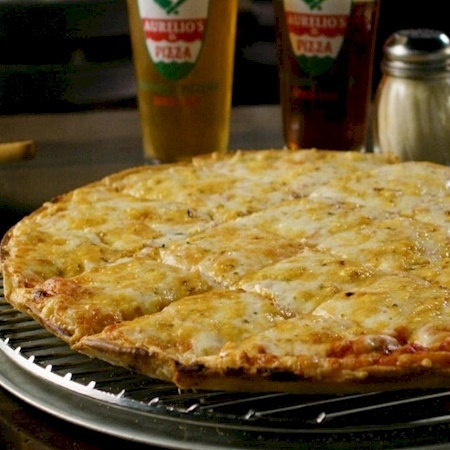 The Aurelio’s family pizza recipe has been enjoyed by many for over five decades. 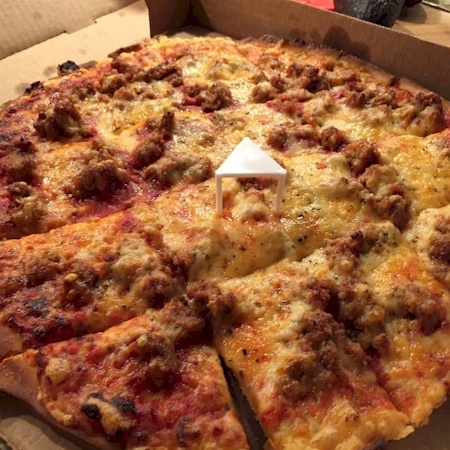 Choose Lil 6", Small 12", Medium 13", Large 15" or Fiesta 18"
Sausage, Cheese, Green Pepper, Ham, Pepperoni, Mushrooms. 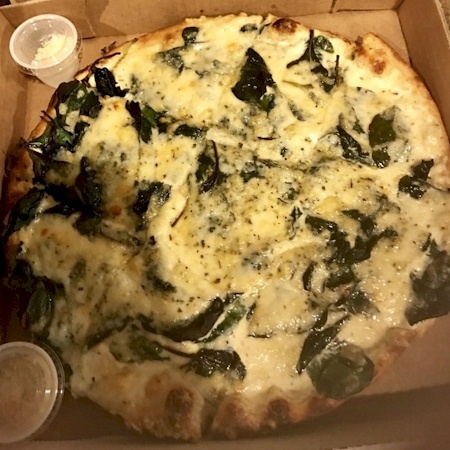 Aurelio’s blend of fresh spinach and spices. 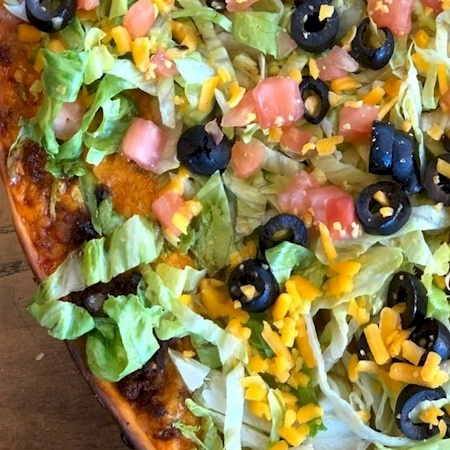 Seasoned ground beef topped with cheddar cheese, black olive, tomato, lettuce & mild ortega peppers. Served with sour cream & salsa. 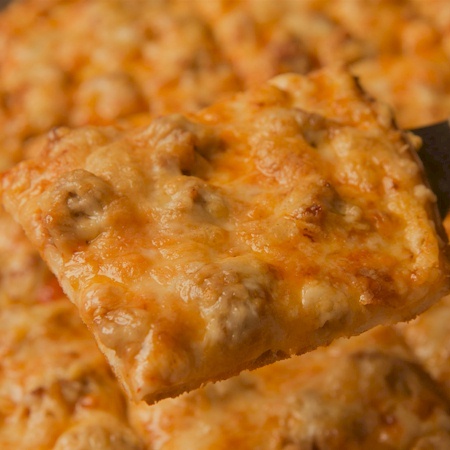 Diced white meat chicken (with Pizza or BBQ Sauce). 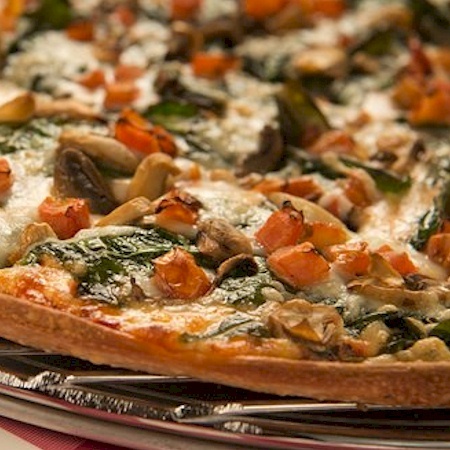 Fresh tomato, fresh spinach and spices with mushrooms. 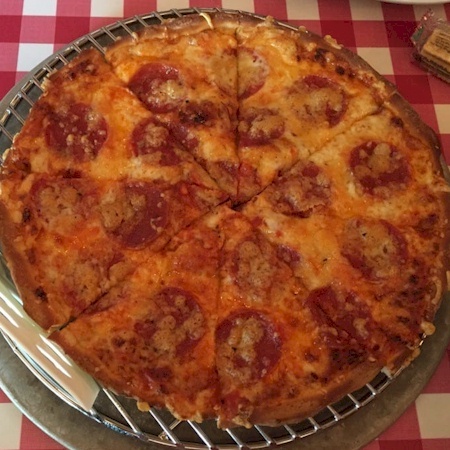 A delicious alternative to traditional pizza with mozzarella cheese and our fresh ingredients inside Aurelio’s famous golden brown hand-closed crust. 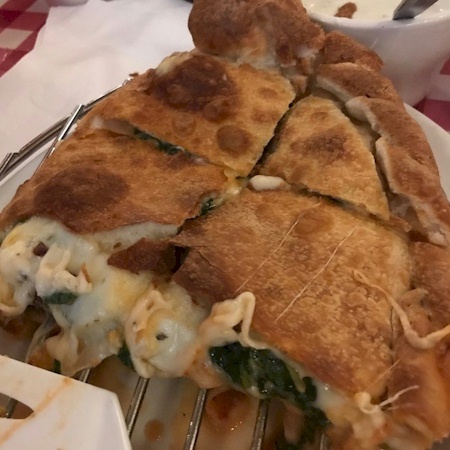 Stuffed with mozzarella cheese and fresh spinach marinated in Mama Aurelio’s secret seasoning and special marinara sauce then baked until golden brown. 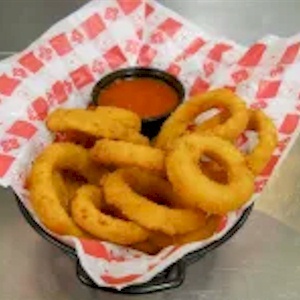 Choose Lil 6", Small 10", Medium 13", or Large 15"
All sandwiches come toasted with chips, fries or onion rings and pickle. 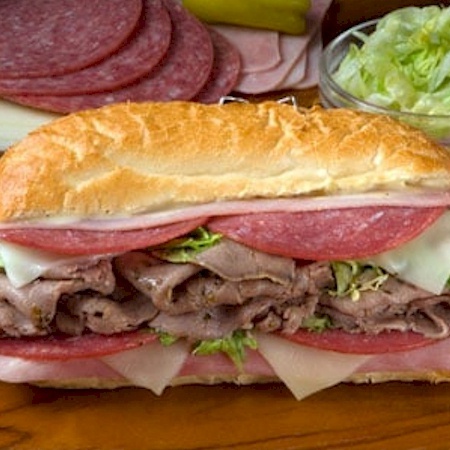 We’ve been toasting our sandwiches since 1959! 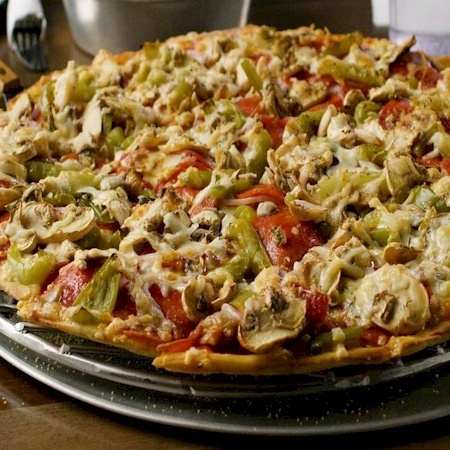 Add cheese, sweet peppers or hot peppers for an additional charge. 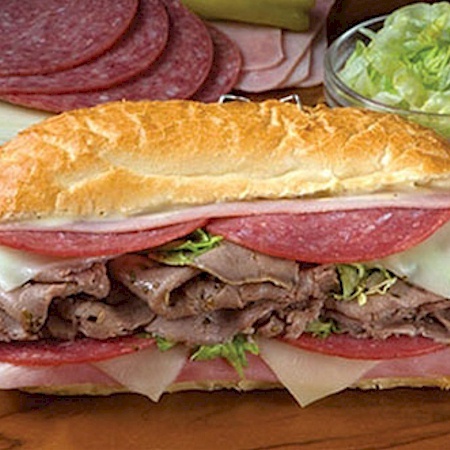 Imported ham, salami and Italian beef, topped with mozzarella cheese and baked to perfection with shredded lettuce and house dressing. Two huge homemade Italian style meatballs smothered in red sauce and served on toasted Italian bread. 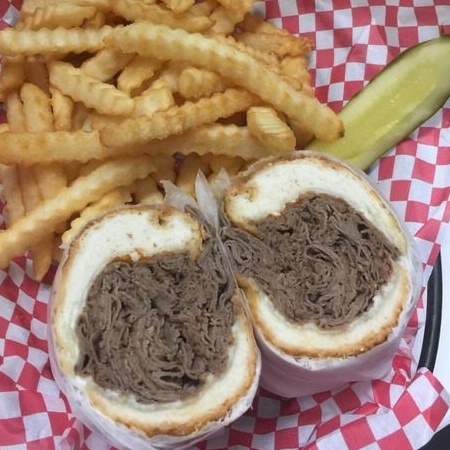 Tender and delicious Italian Beef served on a fresh toasted Italian bread. Fresh homemade Italian sausage broiled to perfection and served with red sauce on toasted Italian bread. 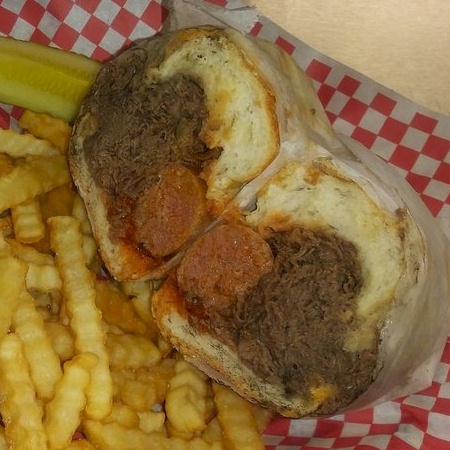 Fresh Homemade Italian sausage and Italian beef served with red sauce on toasted Italian bread. Boneless breast of Chicken marinated in Italian spices and served on a toasted bun with lettuce, tomato and mayo. Imported ham thinly sliced and piled high, served with lettuce and tomato on toasted Italian bread. Crispy chicken tenderloin covered with aged mozzarella cheese and marinara sauce on toasted garlic bread. Aurelio’s very own homemade sauces over your choice of fresh cooked pasta. 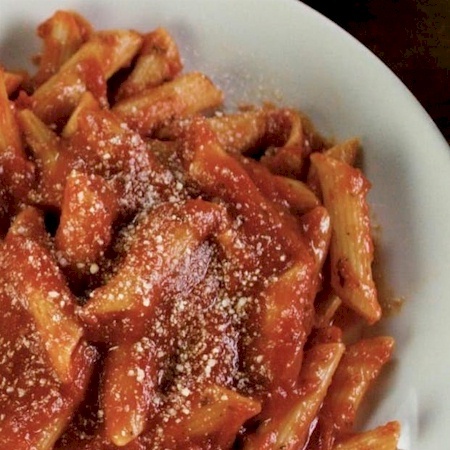 Choose your sauce and pasta to create your perfect meal. 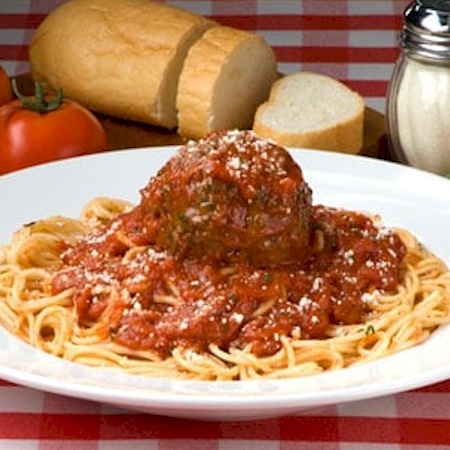 Add chicken, meatballs or sausage for an additional charge. Small serves 1-2, Medium serves 3-4, Large serves 5-7. 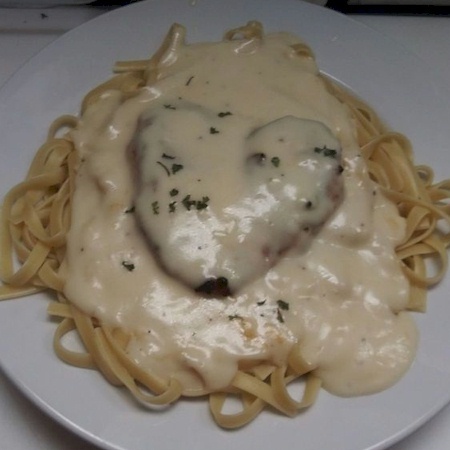 Boneless breast of chicken covered with a rich creamy cheese sauce served over your choice of Spaghetti, Mostaccioli or Fettuccini pasta. 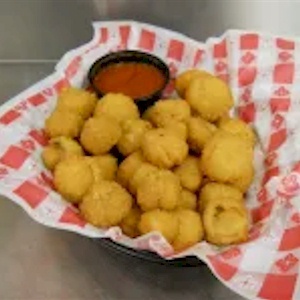 Boneless breast of chicken baked mozzarella cheese and marinara sauce served over your choice of Spaghetti, Mostaccioli or Fettuccini pasta. 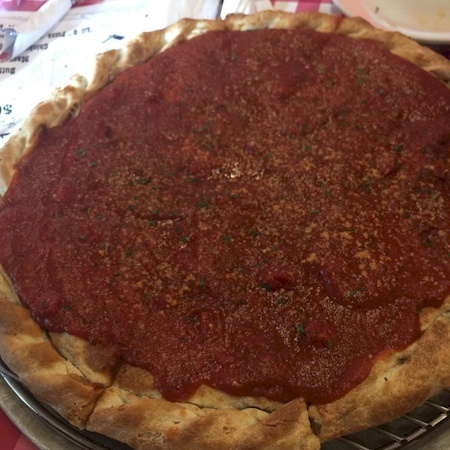 Mostaccioli with marinara sauce smothered in aged mozzarella baked to perfection in one of our deep dish pizza pans. 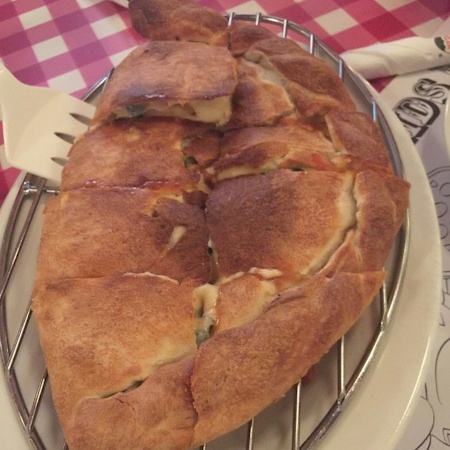 Served with a fresh dinner salad or soup and fresh baked bread. 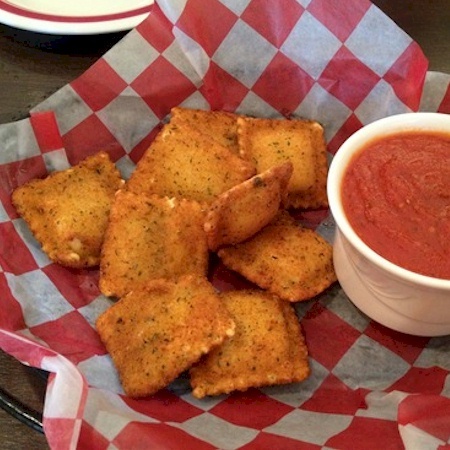 Ravioli with marinara sauce smothered in aged mozzarella baked to perfection in one of our deep dish pizza pans. 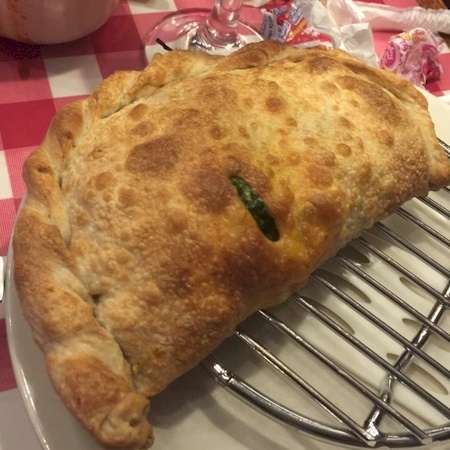 Served with a fresh dinner salad or soup and fresh baked bread.